One of the most expensive parts of your home to repair is the roof. Sadly, this is also one of the most common places to find poor workmanship. A badly built or repaired roof can lead to numerous problems in the future, including further roof work and structural damage due to leaks. The good news is that you don’t have to be an expert to spot a bad roofing job. 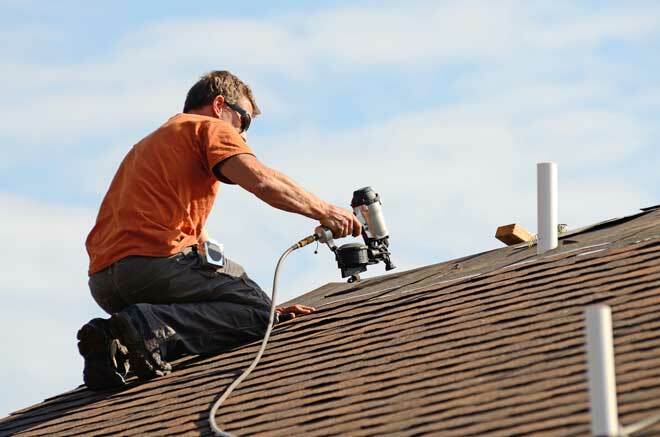 The following are several common signs that your roofer wasn’t worth the cost. A large percentage of poor roofing jobs can be spotted easily; some are even visible from the ground. In most cases, these visual signs will occur long after the roof is built and will be the result of storm damage or general erosion. Spotting any of these shortly after a roofing job, especially if there were no major storms, can be a prime indicator that the roofing contractor did a poor job. After a major storm, it is not uncommon to find some shingle damage. However, if your home is the only one on the block to suffer such damage, the quality of the roof itself must be brought into question. 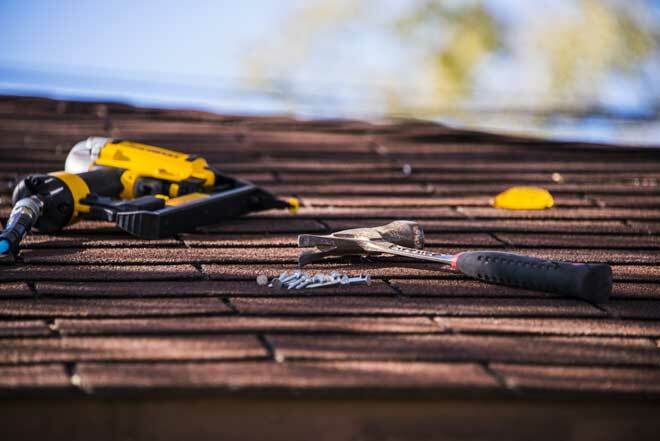 Small sections of shingle can be replaced without needing to repair the entire roof, although you should get a professional roof inspection in the event the damage is unique to your home. Water leaks may often be spotted by black stains on your roof. Inspect any such stains closely, and check your attic in those areas to determine the extent of the leak and any damage which has resulted from it. Isolated leaks can sometimes be fixed without replacing the entire roof, but extensive damage, including numerous spots where the grainy surface of the shingles has come off, points to a much larger problem that requires extensive repair work and possibly a new roof. Under normal circumstances, a roof will wear evenly along each individual side. This is true even if one side faces into the weather and the other away from it. Check your roof often to make sure one side isn’t wearing down too quickly. 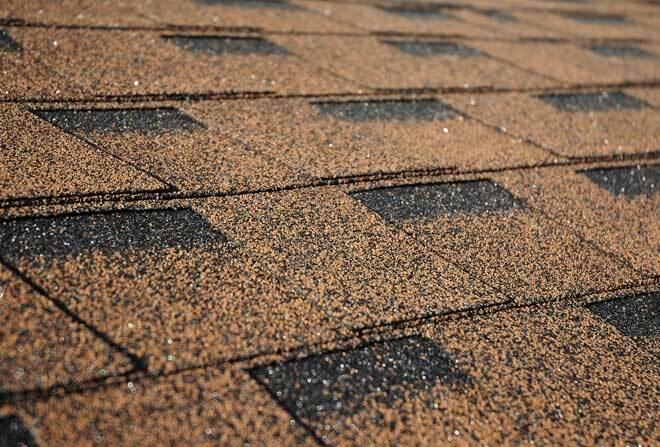 As you look for signs of damage, take note of any shingles which are the wrong color or size. Mismatched shingles are a common sign of your contractor cutting corners and can lead to additional damage. A difference in materials may also mean that the new sections of roof will age at a different rate than the rest of the roof, leading to further repair jobs down the road. While it might be easy to check for some problems visually, others require a little more work. These are no less important, as they can easily lead to leaks and greater storm damage if not addressed. 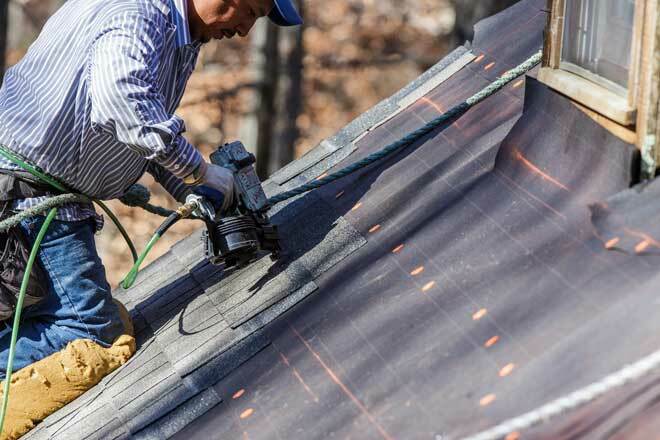 Making a watertight roof requires more than just shingles. Flashing and proper attachment methods are also vital to a lasting roof. Flashing should be properly installed and caulked. This is especially important when you have added an extension to the house, and the two roofs connect. Additionally, different roofs require different nails. Choosing the wrong size, spacing too far, or nailing the shingles too low will all cause leaks and possibly dislodged shingles in the next major storm or case of high winds. Checking the hardware is not as easy as other potential problems, but is nonetheless important. The drip edge is a metal sheet that protects the board under the edge of your roof (fascia) from water damage. It is located between the underlayment and shingles, and extends over the gutter when installed properly. Drip edges are affixed using roofing cement and sometimes also a row of short roofing nails placed well above the edge of the shingles. The underlayment is a layer of paper or other material that serves as a waterproofing barrier and can be found beneath the shingles. A missing underlayment will not only lead to roof leaks, but may even shorten the lifespan of your roof. In many cases, you can avoid a bad roofing job before it happens. There are several red lights to watch out for when hiring a roofing contractor. Any one of these deserves caution, while more than one means you should find someone else before the work begins. Be wary of any contractor who does not thoroughly discuss any structures, such as chimneys or skylights, which protrude through the roof. An inspection of the attic or underside of the roof is also necessary before any roofing project. A good contractor will take the time to thoroughly examine the site, answer any questions you may have about the job, and explain what needs to be done and why. Contractors who simply hand you an estimate will likely do a poor job on your roof and hope you don’t notice. You should always check up on a potential contractor, regardless of the job. A reliable contractor will readily show you their certifications, as well as insurance info. In fact, many contractors carry a copy with them when in the field. These documents will be necessary in order to obtain a permit, which they should also be willing to show you before work begins. A properly licensed contractor will never ask you to obtain the building permits yourself. This is a very important red flag, as it almost always means the contractor is unlicensed and uninsured. By obtaining the permits on the builder’s behalf, you become liable for all costs and injuries that may occur on the job, including wasted materials or property damage. Another thing to check is whether the contractor has obtained any necessary disposal permits. Depending on your municipality, special documentation or permits may be required for the disposal of waste from the project. Always check with your local code enforcer’s office to find out any additional documentation your contractor should have before starting work.